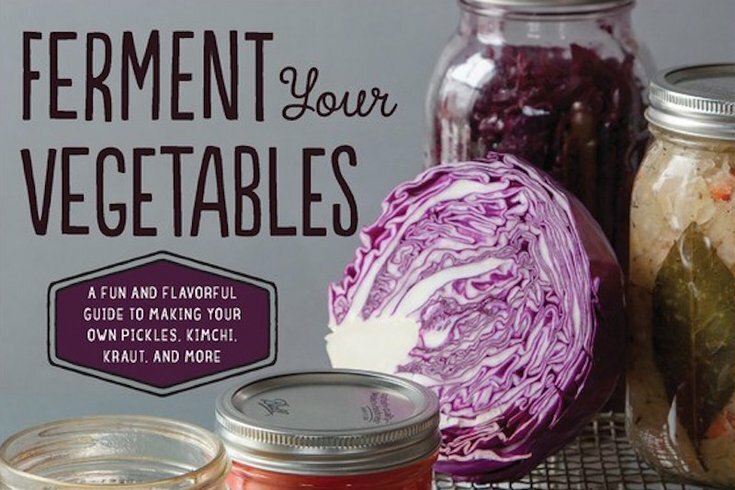 "Ferment Your Vegetables" by Amanda Feifer. 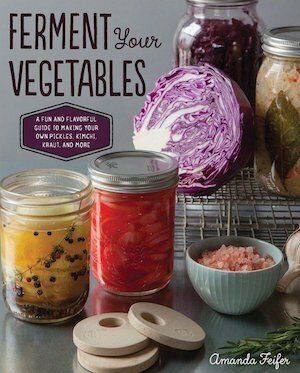 With her new book, “Ferment Your Vegetables” (Quarto Publishing Group), Philly-based author Amanda Feifer helps familiarize today’s home cooks with an age-old food preservation method. Feifer contends that pretty much anyone is capable of filling their kitchen counters with jars of tasty homemade sauerkraut, pickles and kimchi. Several years ago, after quitting a job in what she refers to as “the dreaded big food industry,” Feifer started a blog called Phickle to chronicle her experiments in fermentation. 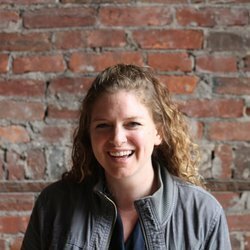 Today, she has a full slate of gigs around town — teaching classes, giving demos and collaborating on pop-up dinners. A big part of Feifer’s work is clearing up the craft's misconceptions and the fears of the uninitiated about dangers like botulism. “Although humans have been fermenting for thousands of years, there are zero reported cases of botulism associated with eating fermented vegetables,” Feifer stresses in the book. Unlike the canned pickles you find at the grocery store -- which go through a process to ensure they taste exactly the same today as they will months and even years from now -- these lacto-fermented products are living foods whose flavors and textures change over time. Lacto-fermented foods have been linked to improved immunity and digestive health, benefits that appeal to Feifer, who experienced serious health issues for years following a bike accident in 2008. She doesn’t see pickles and kraut as a cure-all but says these days she almost never gets sick. As far as the recipes, many are extremely simple and straightforward, like the foolproof radish and onion pickles. You don’t even need to peel the radishes. But you do need to plan ahead: Ferments take days and even weeks to fully develop. Feifer hopes her book will also appeal to more experienced fermenting enthusiasts. Yes, sauerkraut for dessert. That might sound crazy to those who haven’t caught the fermenting bug, but the book has plenty of recipes that will appeal to novices, from classic dill pickle spears to ginger beet kraut to hot sauce to kvass, a fermented drink. “It really does feel amazing to put a vegetable and salt on your counter and come back in two weeks and have it be this super-amazing tangy, sour thing,” Feifer says. "Ferment Your Vegetables: A Fun and Flavorful Guide to Making Your Own Pickles, Kimchi, Kraut, and More" hit shelves Oct. 15. Check Phickle.com for additional upcoming classes and events with Feifer. Find crocks, jars (both European- and American-style jars, great for different vegetable fermentation styles), books and other supplies. Try their long-fermented breads, house-made yogurt, loads of fermented vegetables and other ferments like cashew cheeses, house-made misos and kombucha. At this true farm-to-table, they use fermentation as a preservation method, using salamis, vinegars and vegetables.